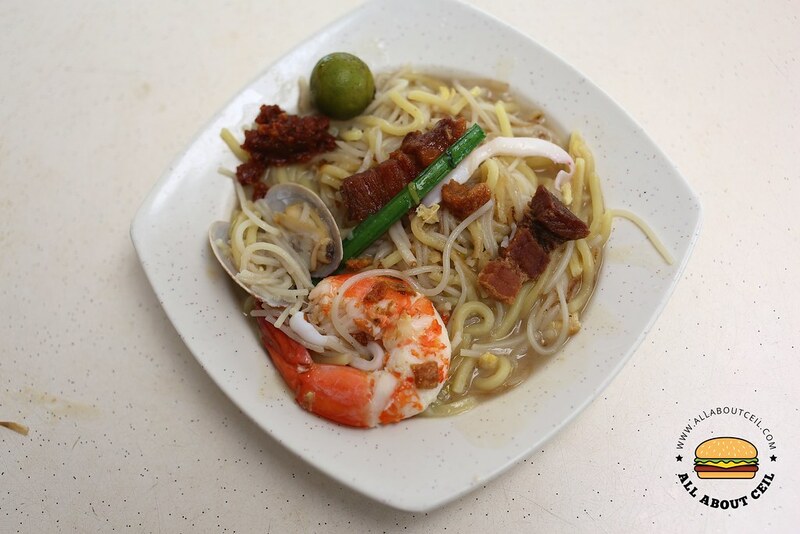 I have heard about this Fried Hokkien Mee and the story of the owner. Lee Eng Keat, the owner, has been in and out of the prison for countless times, he spent about 20 years behind bars with a total of 34 strokes of the cane received. 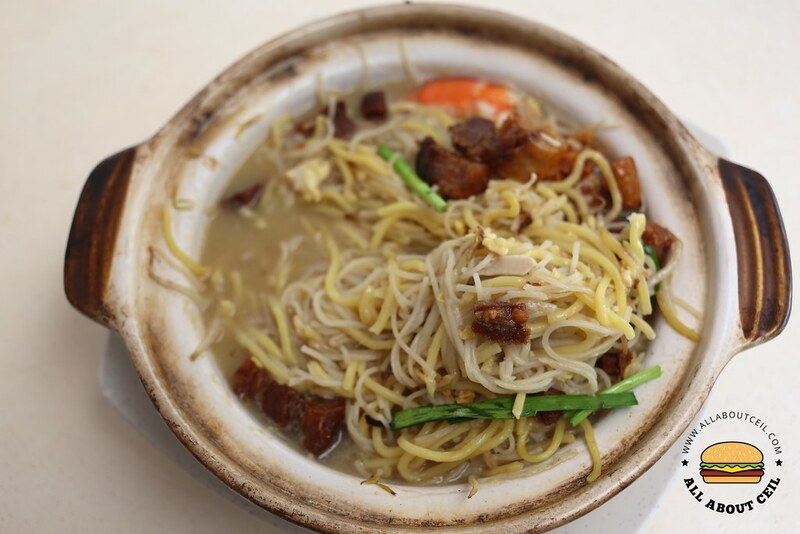 In 1988, he helped out his stepfather at a hawker stall in Toa Payoh Central and he was taught how to cook Hokkien Mee from another hawker at that time. He tried Heroin again and later, he turned to be a drug dealer and was arrested twice for drug trafficking and sentenced to prison. He was released and again, sentenced to 11 years of imprisonment in 2006. 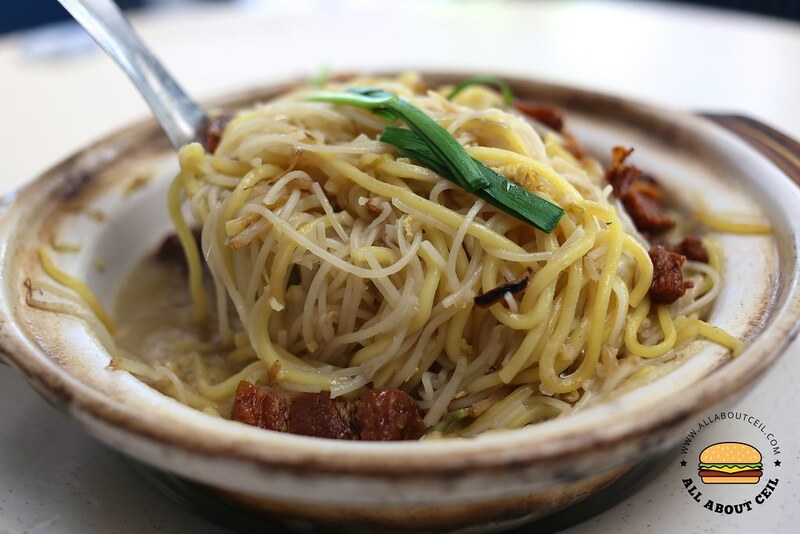 He was let out early due to good behavior and started Kim Keat Hokkien Mee in April 2014 with nearly $20,000 at the age of 58. 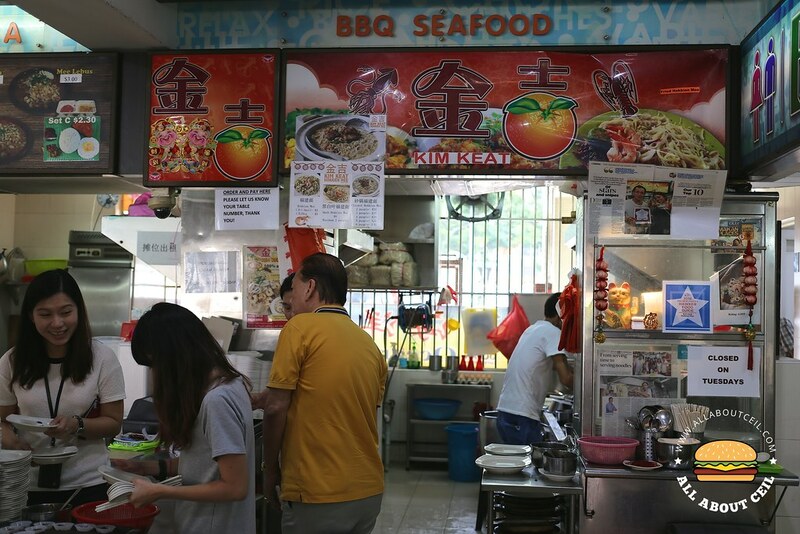 He is experienced in frying Hokkien Mee as his family used to run Heng Heng Hokkien Mee at the old Food Centre near Toa Payoh Interchange that was started in the 80s. 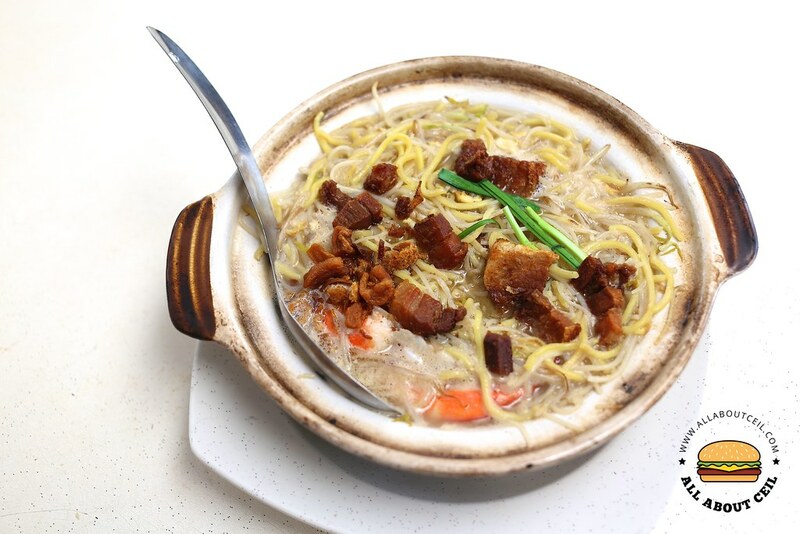 The regular Fried Hokkien Mee starts at $4.00 but if you want it to be served in opeh leaf then it has to be at least $8.00, the claypot version is available at $10 and $15. I decided to go with the $10 Hokkien Mee in the claypot, which is an interesting option that does not seem to be available elsewhere. I was asked for the table number followed by the payment. It was served to the table in about 10 minutes. The noodles were stir-fried in the wok before transferred to the claypot to cook over the fire again before being served. Perhaps it was done it too quickly, the noodles did not have a chance to absorb the broth well for a full flavor upon served. It was expected to be still cooking by the heat in the claypot at that time but it did not do much to enhance its texture as well as the flavor. In this case, the noodles were not fried well to have the smoky charred flavor and also the gooeyness after soaking up the broth. It did not have the aromatic flavor that is expected of a good Fried Hokkien Mee, it was too soupy and tasted a bit too bland. The addition of fried roasted meat did not bring forth the flavor like what crispy pork lards would and the texture of those pieces of fried roasted meat was quite hard, though not burnt but likely to be fried for too long. The $10 portion is substantial to be shared amongst 2 pax and it consists of ingredients like fried roast pork, squid, clams and 2 pieces of medium-sized fresh tasting prawns. The sambal chilli has a minimum spiciness and it enhanced the flavor. I would rather walk across the street to have the Tian Tian Lai Fried Hokkien Mee at the food centre in Toa Payoh Lorong 1 as that is a better Fried Hokkien Mee than this.